The classic part with a side sweep is a hairstyle that has been worn by countless men through the ages, including my late grandfather who was born in 1904. 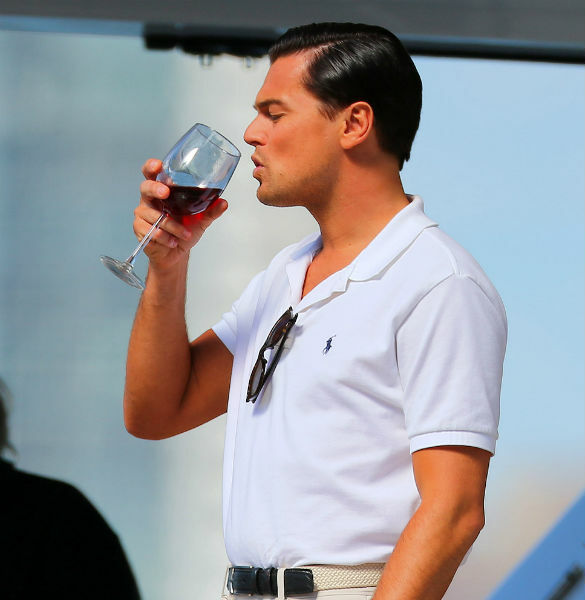 The way I see it, if it was good enough for him, it is good enough for me. Private White V.C., the inspiration behind the Manchester clothing range of the same name, was one such gentleman who knew how to style his hair. 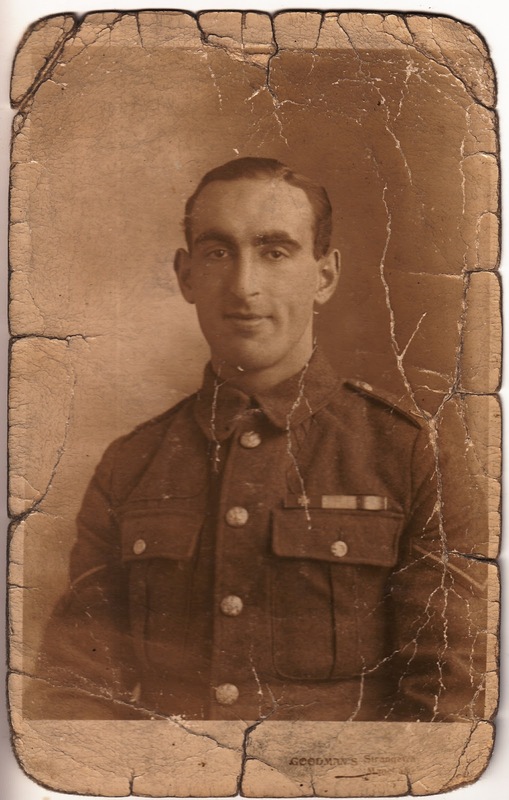 Born in 1896, he was just 18 years old when he was awarded the Victoria Cross for ‘conspicuous bravery and resource’. Apparently, the resource he demonstrated didn’t relate to the well-groomed condition he managed to keep his hair in, but it should have been. Cary Grant is one of the most famous people to have worn his hair in this style. Interestingly (for me at least), Grant parted his hair on the left early in his career but one day on the set of Blonde Venus (1932), director Josef von Sternberg told him in no uncertain terms that he was parting it on the wrong side. So he changed to the right and the rest as they say (no, I don’t know who ‘they’ are, either) is history. Denis Compton, English cricketer and Arsenal footballer in the 1950s, was another chap to conform. In the 50s, he was Britain’s answer to David Beckham, making a heap of money through sponsorship endorsements, as well as being super talented on the pitch. Seen as a great role model, he was the hair and face of Brylcreem with its famous ‘Just a dab will do ya’ tag line. Of course, between now and then came the longer haired styles of the 60s and 70s, not to mention the perms and mullets of the 80s. Two words – Pat Sharp. In recent times, the classic style has been making a deserved comeback. The aforementioned David Beckham has been known to sport it (excuse the pun), has have silver-screen leading men George Clooney and Leonardo DiCaprio. Then of course, there’s been the wondrous American televisual feast Mad Men with Don Draper, Pete Campbell et al also slicking it up in 1960s Madison Avenue. 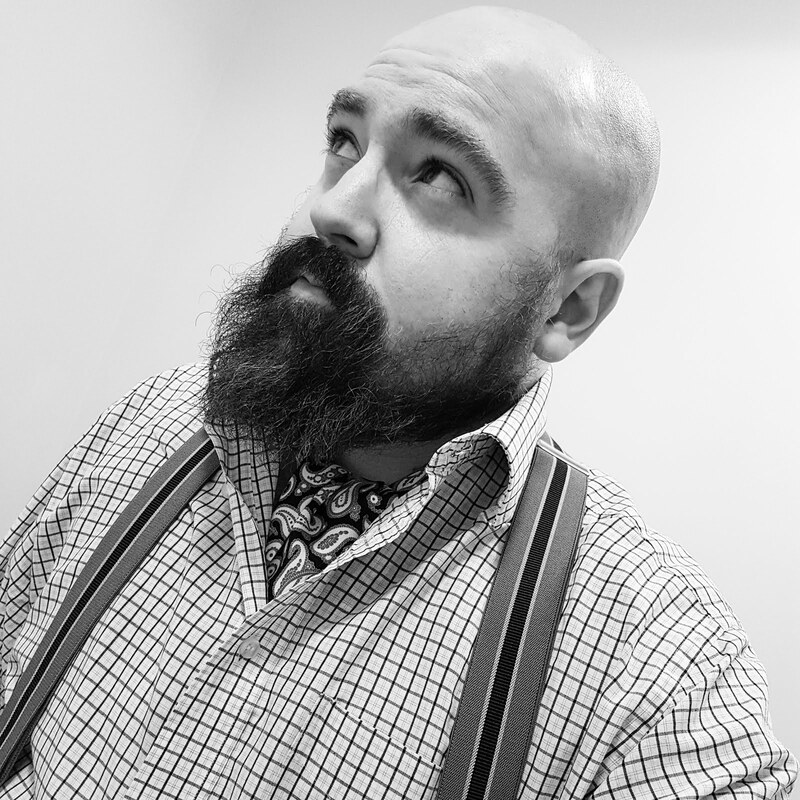 My ‘do’ is serving me well – it’s easy to maintain with a monthly trip to Stans Barbers in Prestwich, Greater Manchester. It’s also a way to keep my thick locks under control, caged by a blob of Murray’s pomade every morning. It is smart, clean-cut and with a nod to yesteryear. I like to think that, like my grandfather, classic style will never be forgotten. Add to that a certain Don Draper - perfectly groomed gents. 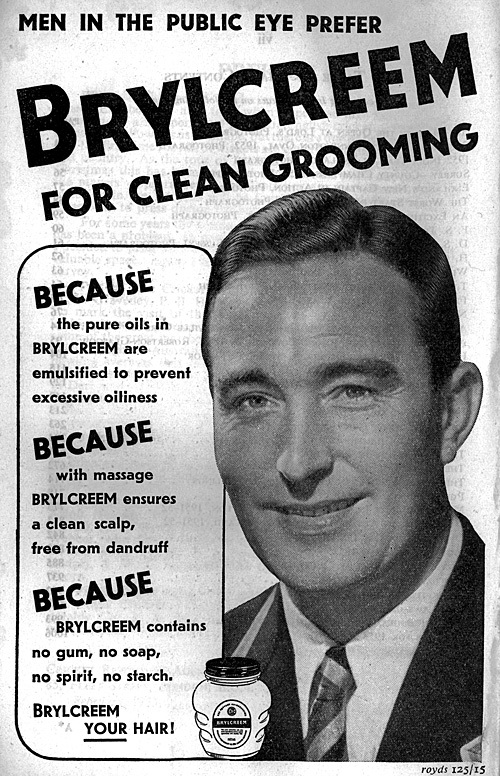 I can still remember my grandpa using Brylcreem - he had thick curly hair and needed it to keep it in check. That's lovely. Brylcreem is one of those products that people have memories of. They should launch a new advertising campaign showing men through the generations using it. I love Cary Grant too. North by Northwest is one of my favourite films, sandwiched between lots of other Hitchcock masterpieces. He had so much style and grace - a true gentleman. And always with immaculately coiffed hair. 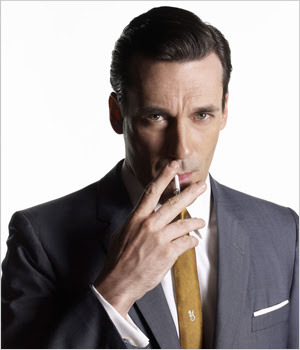 There's a few similarities between his character, Roger O Thornhill and Don Draper - both advertising executives in 60s Madison Avenue and both in some way under an assumed name. The first rule of a successful web log is to leave the reader wanting more. Besides, I've buried all known photographs 40ft in the ground encased in a Samsonite briefcase to which only I know the code. At least I did do. The little grey cells aren't what they used to be. 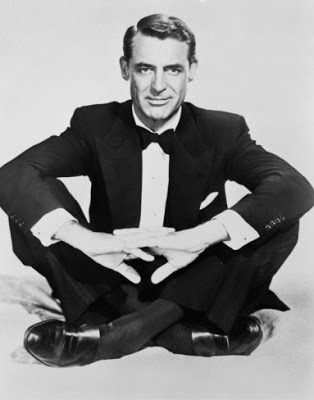 I'm very pleased to find another fan of Mr Cary Grant - one of my Style Icons, you may have noticed (although I never knew that fact about his side parting - most interesting!). It seems my mind is cluttered with all sorts of useless information so I'm glad one of them has been of interest to you, my good man. I thoroughly enjoyed your work on Mr. Grant when I read it last week. I sympathise with your barber plight. I myself have previously been inflicted with the same condition until I stumbled upon Stan's Barbers. Not only do they cut hair well, they are very lenient on the old wallet too. One can pay some frankly absurd prices for a haircut at the whimsical and stupidly trendy ‘hair salons’. As you say, the 'sylists' seem to take great joy in ignoring your simple instructions and cutting your hair the way they want to. The scoundrels.